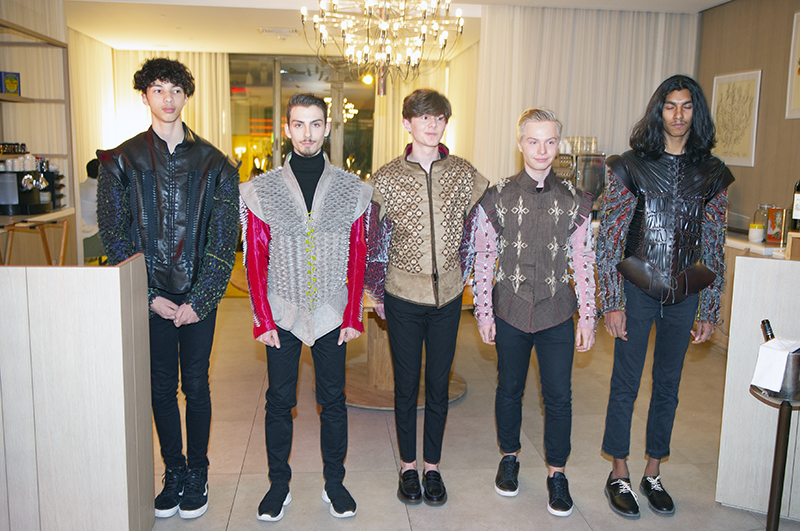 The restaurant La Terrasse du Gray in Cannes celebrated the Sales and the City fashion event by inviting students from the Lycée des Coteaux to parade with their latest couture creations. Sales and the City in Cannes: on the occasion of the 2019 winter sales, the time of a weekend dedicated to fashion and art of living, the Capital of Cinema has donned its most beautiful finery to welcome its customers and visitors in a warm and festive atmosphere. For two days, from January 11 to 13, 2019, many events, shows, fashion shows and other surprises have been tooking place in the heart of the Cité des Festivals. 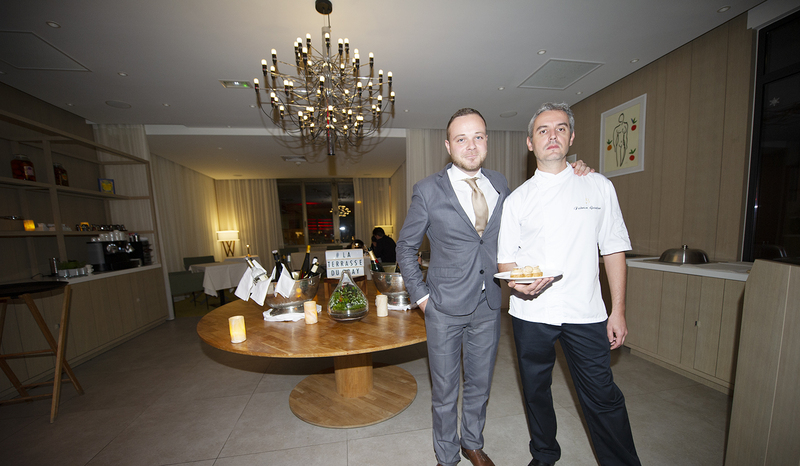 On January 12th, the Hotel Barrière Le Gray d’Albion combined fashion and culinary creativity in its restaurant La Terrasse du Gray. As part of Sales and the City, the famous Rue d’Antibes, the center of shopping in the French Riviera, frequented by visitors from around the world, was pedestrianized on January 12 and 13 to facilitate the circulation of shopping aficionados of all kinds. The parkings in the city center also promoted the event by offering a fixed price of 5 euros for 12 hours of parking. 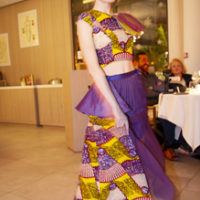 In Cannes Golden Square, the restaurant La Terrasse du Gray at Hotel Barrière Le Gray d’Albion also played the game by rolling out its red carpet to twenty fashion designers, students from the Lycée des Coteaux in Cannes. For one evening, the students had the privilege of presenting their creations and their know-how acquired within this school of excellence. 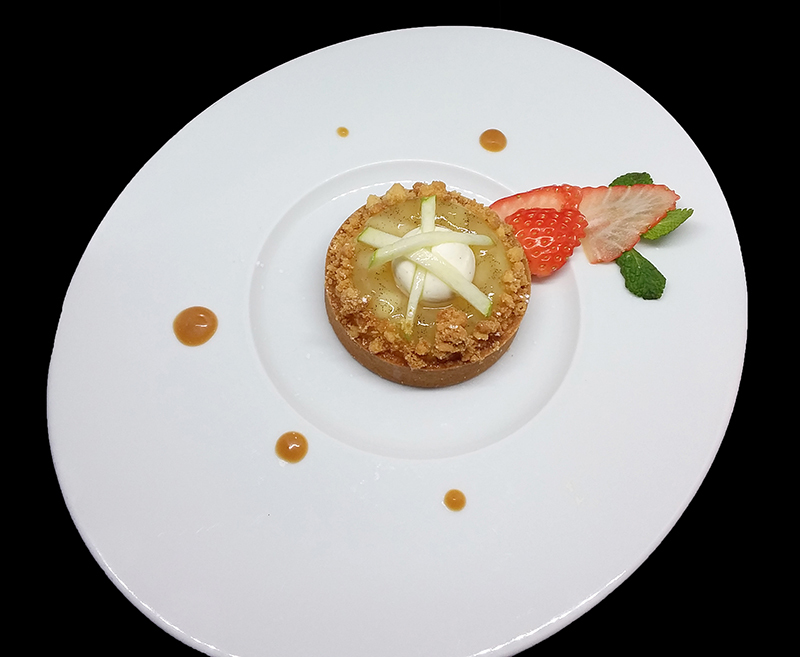 Under the leadership of Claudie Bonischot, Executive Director of the Fashion and Entertainment Training, the artistic parade accompanied the gourmet delights of chef Fabrice Gautier. 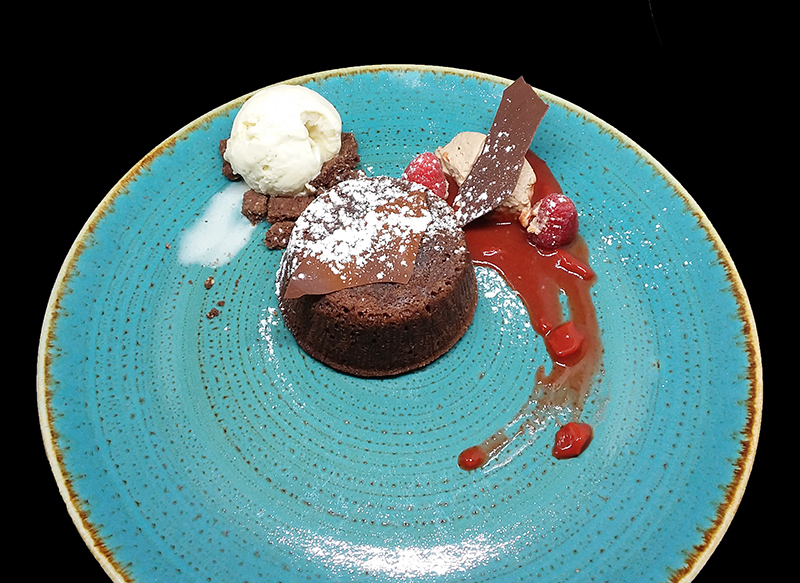 A delightfully way to fulfill pupils and taste buds! 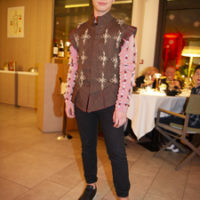 For the occasion, the young creators and designers have endorsed the various hats of stylists, cutters, costume designers, dressmakers, embroiderers, retouchers… Since December 2018, when they knew they would make a parade at La Terrace du Gray, all worked tirelessly to give the best of themselves to their creations and bring to this fashion show an image of prestige equal to that of the palace that would welcome them. 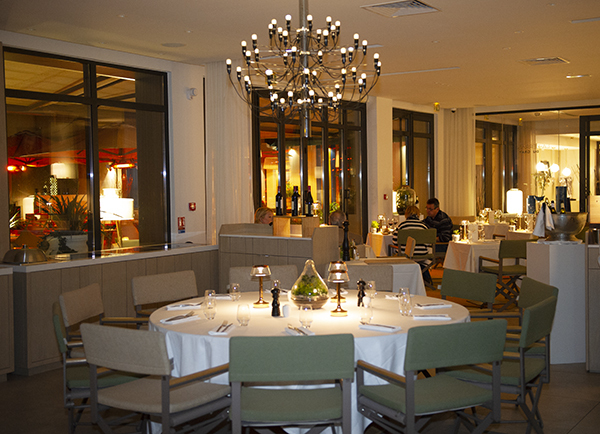 La Terrasse du Gray is on the first floor of the Hotel Gray d’Albion. Through its refined furniture harmonies of soft colors, oscillating between green almond and beige, the students evolved majestically along a sinuous course, between table and guests. In the warm, subdued light of the stunning Art Deco wrought iron chandelier, the fashion models and fins gourmets have literally plunged the gastronomic space into a friendly atmosphere and guests have had a sense of well-being, conducive to fashion and relaxation. 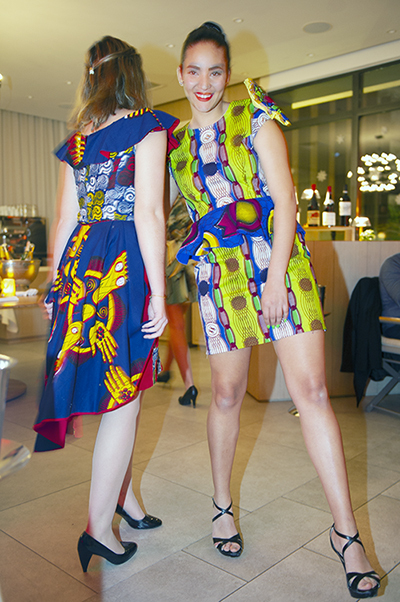 The background of lounge music and delicious gastronomy brought the final note to this fashion-filled evening. 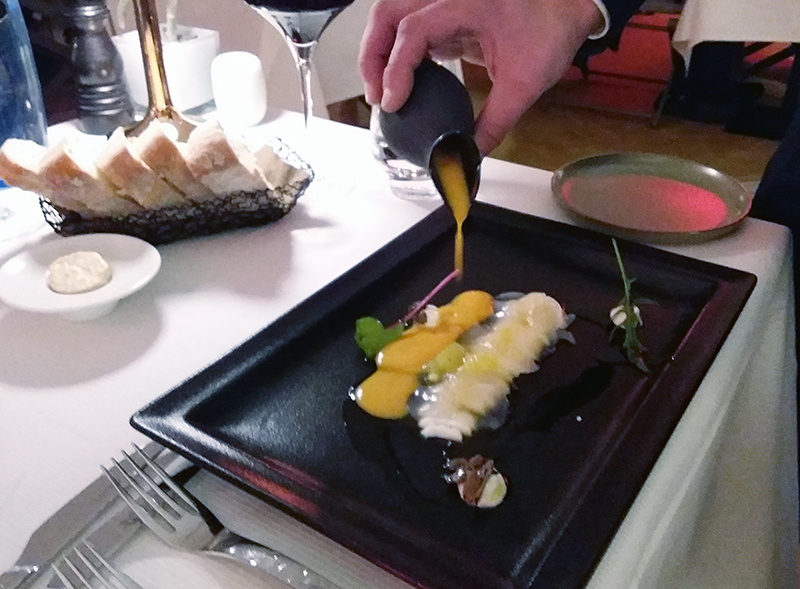 To celebrate Sales and the City, Fabrice Gautier, chef of La Terrasse du Gray, has masterfully practiced his art to the delight of our gourmet taste buds. 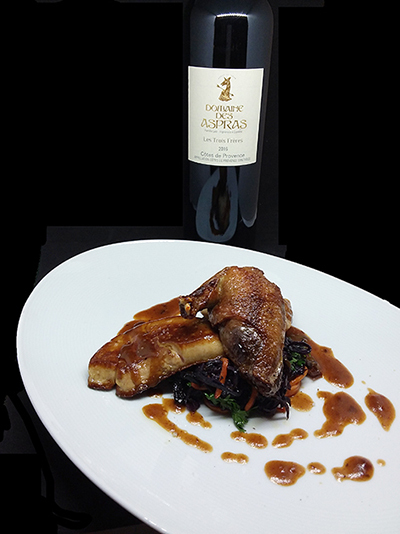 At the image of the venue, the sublimated products, carefully selected from the best producers in the region, have highlighted the authentic and fragrant flavors of the Provençal terroir. 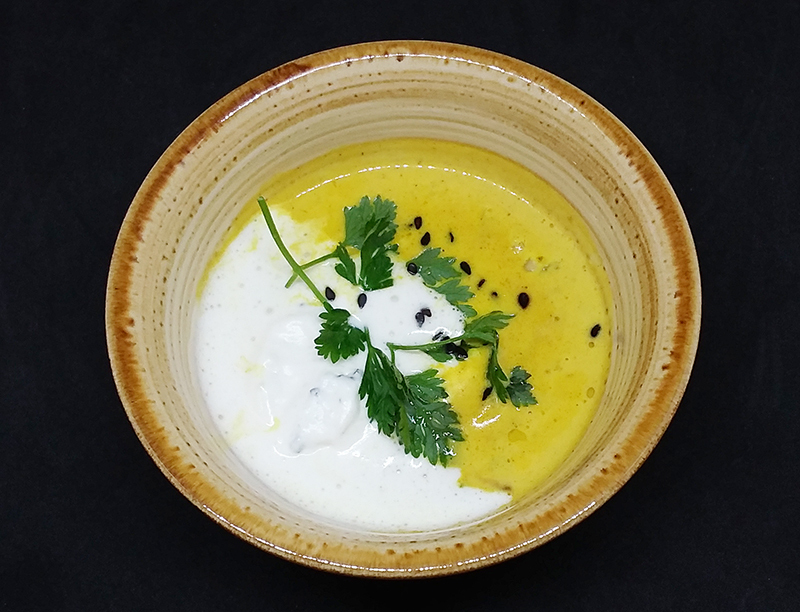 As an appetizer, a fragrant and very original Velouté of Carrot with Curry, Fennel, Cream with Chive gave us a delicious taste of what we were going to enjoy throughout the evening. 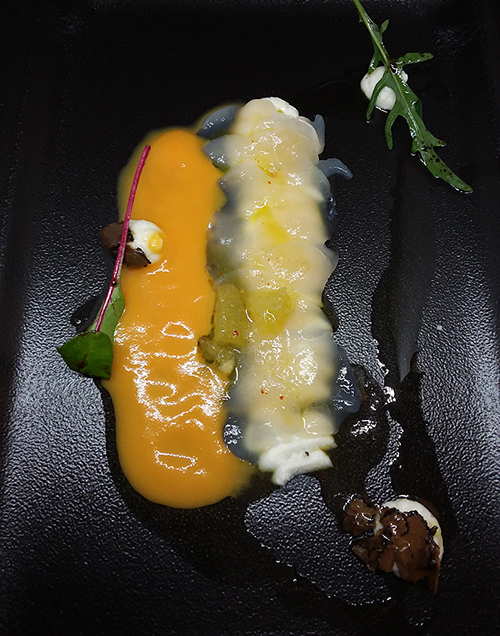 The fresh and delicate Scallop Carpaccios, Cauliflower Purée flavored with Truffle, Carrot Emulsion bathed us immediately and with freshness in the land and sea wedding rings. 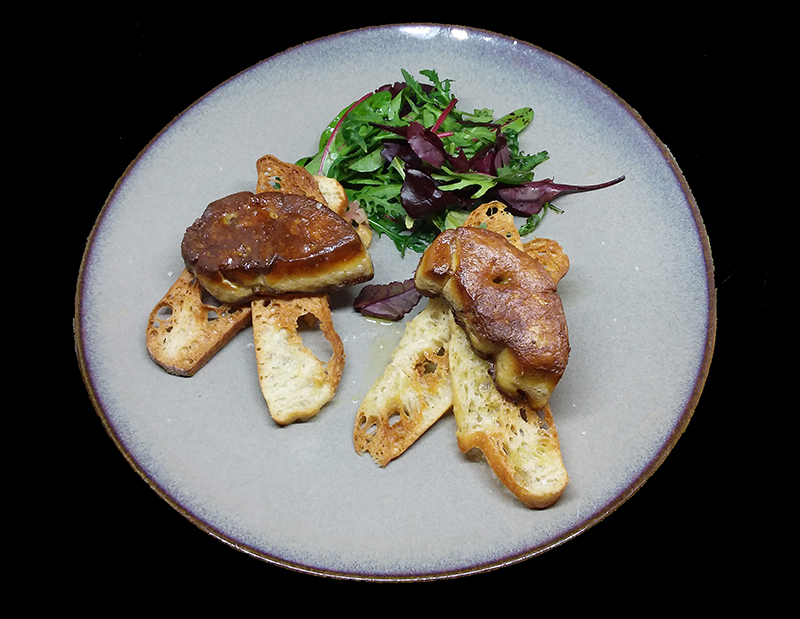 The pan-fried Foie Gras, toasted Bread combined with the surprising and slightly acidic flavors of Mango and Pineapple Chutney exalted our senses. 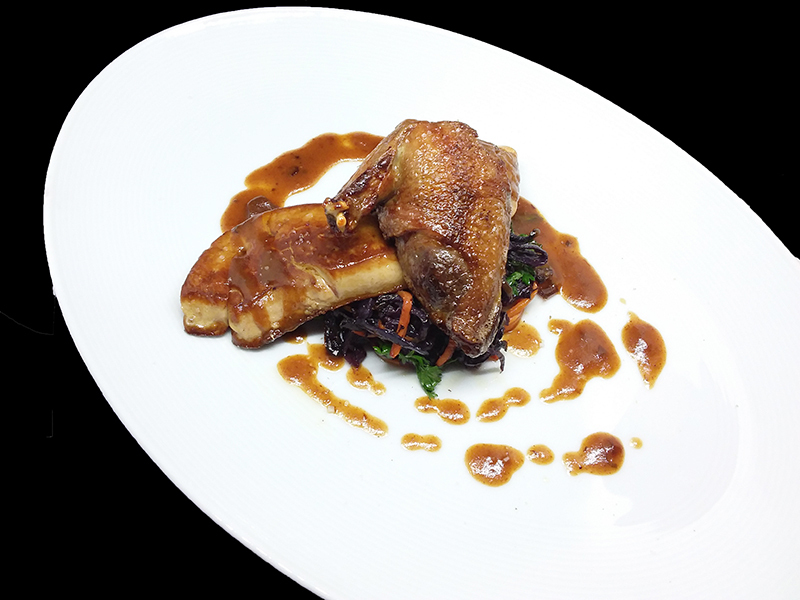 The roasted Pigeon Breast, on a declination of Red Cabbage with Dates, Pastilla of Legs and full bodied Jus was a happy discovery for our delicate palate. 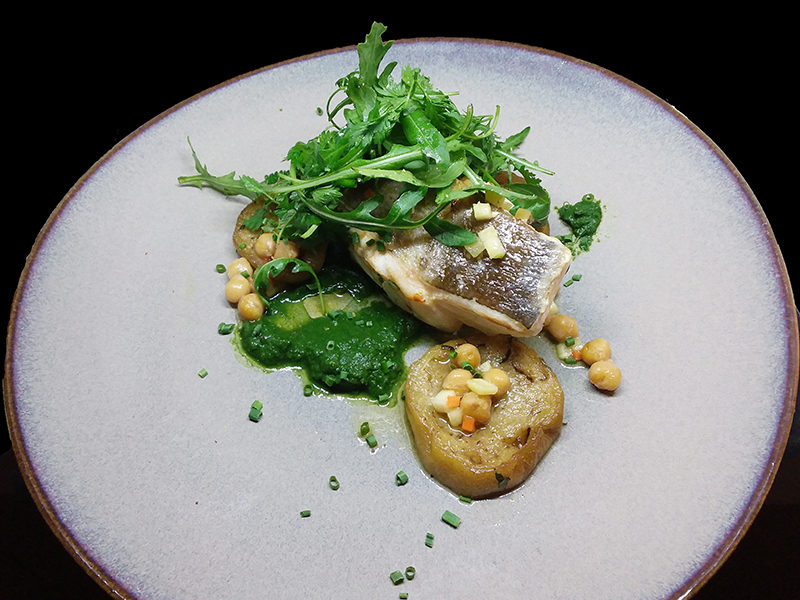 The Cod, this sea fish with fine white flesh, accompanied by the deep flavors from the earth like the sliced marinated Aubergine, Chickpea, Herb Juice was one of the best scores conducted by the chef Fabrice Gautier. 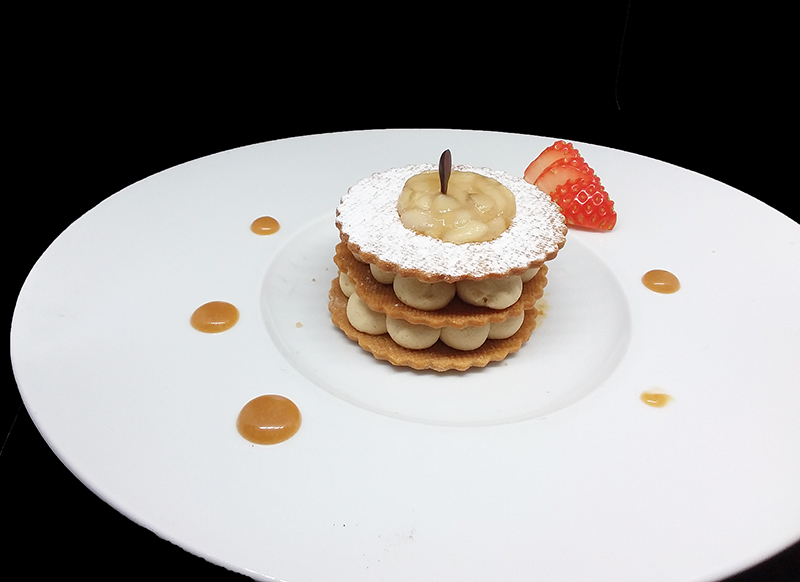 To end this gourmet parenthesis, the flavors from here and elsewhere like the Guanaja Warmchocolate or the selection of Pastries from the Hotel Majestic like the sublime Mille-feuilles, the crispy Vanilla Apple Tartlet made us travel in the world of childhood without moving from our chair. 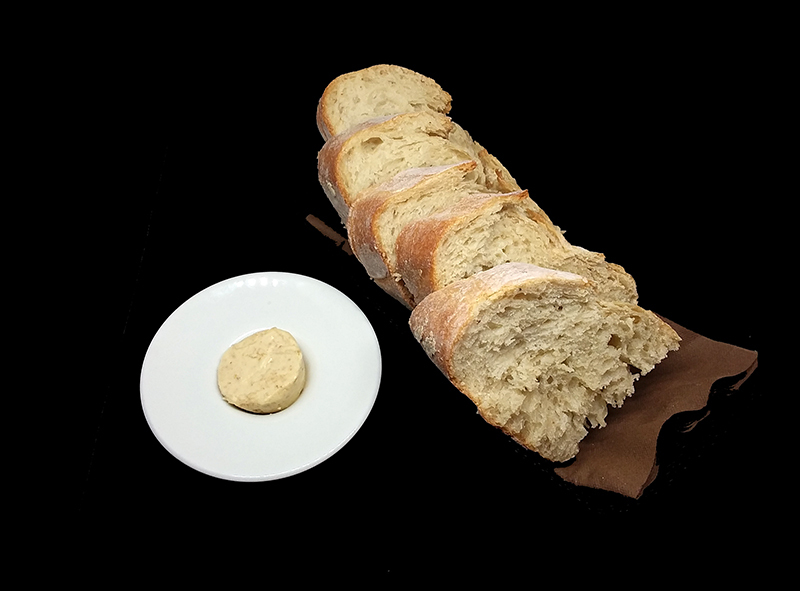 To complete this king’s feast, a homemade bread accompanied by its Fig and Hazelnut Butter and the delicious red wine Côte de Provence Domaine des Aspras, Les Trois Frères – 2016. 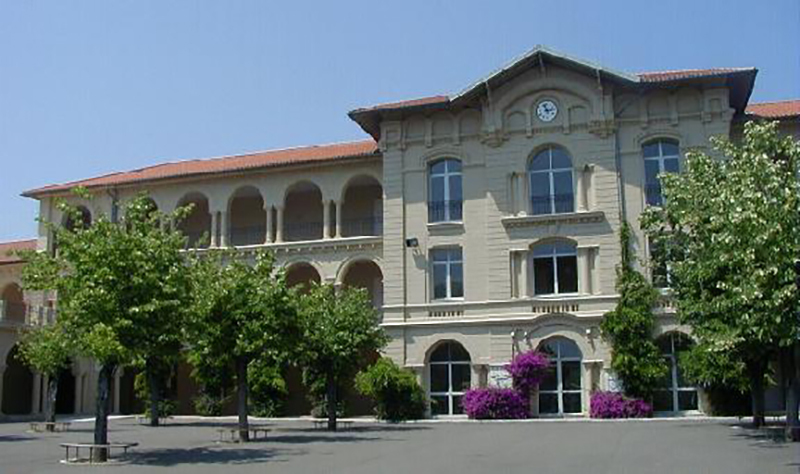 The professional Lycée des Coteaux, labeled high school for professional trades of fashion and costumes is located in an old building that is actually a resplendent style “grand siècle” manor. A light bridge connects it to a modern building, of a radiant white under the sun of the Côte d’Azur. The garden, embellished with works of art, makes you want to explore this temple dedicated to fashion where works of art are omnipresent inside as in the corners and nooks and even suspended from the ceiling, giving the feeling that art is king in here. 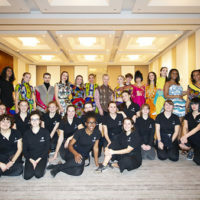 The professional high Lycée des Coteaux is organising specialized trainings in the field of sewing, the creation of personalized clothing, the techniques of clothing and stage costume. The training at school is completed by a training in business at couturiers, fashion designers or during live shows. The degrees offered range from the certificate of vocational studies to the prestigious diploma of costume crafts, but also to the fashion industry of tomorrow. The fashion and luxury industries, which are very demanding, require a high level of knowledge and artistic know-how. Students also face the demands of a professional world that transcends national boundaries. The tradition of excellence must include the mobility of teachers and students: everyone understands and learns what the other person is doing through exchanges with others, regularly organized international schools. This school of excellence has the merit of providing employment opportunities to students. The skills acquired through the knowledge taught at Lycée des Coteaux are now recognized as a reference in fashion. The future of some 250 students studying in Cannes seems on track. But the other courses are also the heyday of this place full of talent, such as the diploma of performing arts technician and diploma in crafts that provide 100% exam success and 100% opportunities. In other words, the 15 students in each section find a job after graduation. This is particularly true for crafts, as the Lycée des Coteaux is one of the five institutions in France to offer this training. As part of Sales and the City, the Lycée des Coteaux was asked by the City of Cannes to join this event highlighting fashion and shopping in Cannes. 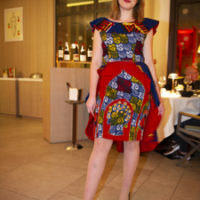 The students of the school, enthusiastic about this project which would highlight the know-how of their school, responded by participating in the dressings of the fashion show which took place in the afternoon of January 12 in the gallery of Gray d’Albion and also to a more intimate evening. 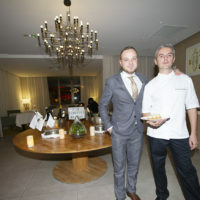 The Hotel Barrière Gray d’Albion proposed them to animate the gastronomic evening at La Terrasse du Gray. For this fashion show, the students used several themes including the travel, sari, works, princesses and nature dresses. A total of 40 models were worn by 18 models. Among them, 15 students graduated from the entertainment trades have managed the dressing of the mannequins. 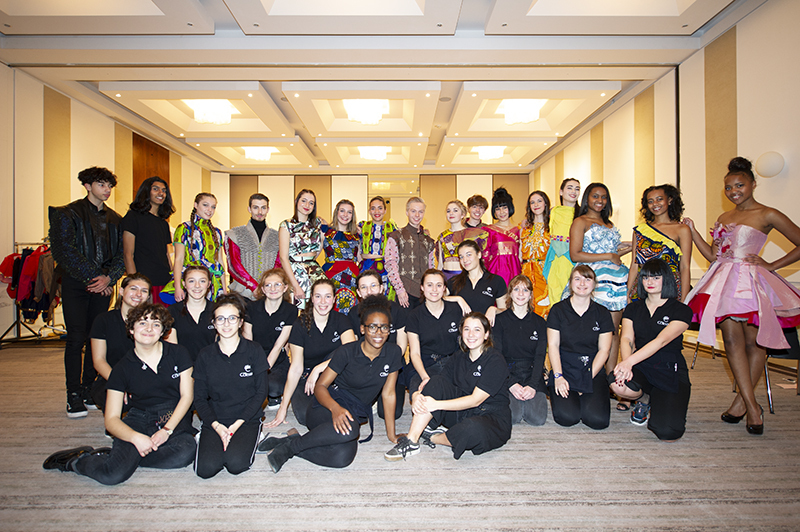 The sewing work was carried out by all the students from the Lycée des Coteaux, from the CAP to the Bac Pro level and the DTAS classes and the DMA classes, the first level of study at the Bac + 2. 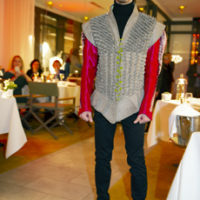 Since the beginning of December, all participated in the development of the outfits, and choice of the models. 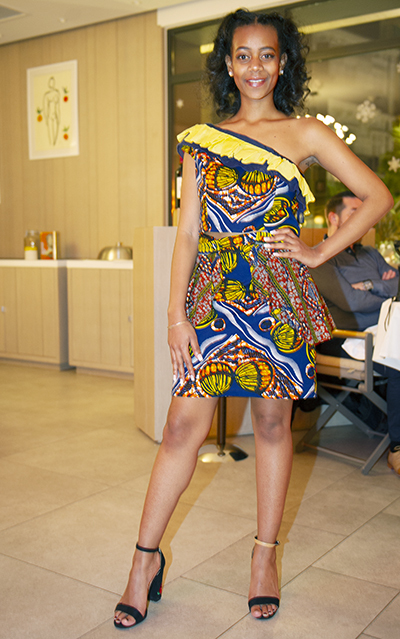 Every year, the students in the first or final year make workshops on themes chosen by the teachers, such as the one on the African fabric. For three weeks, the students work as in a sewing workshop, designing with an Applied Art teacher, choosing fabrics, colors and patterns.